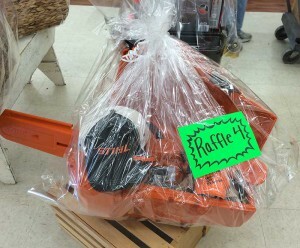 This is just one of eight raffle baskets being given away by Brandywine Ace Pet & Farm. For every $10 customers spend now through Oct. 5, they’ll get a ticket which they can place one of eight buckets corresponding to the prize package. 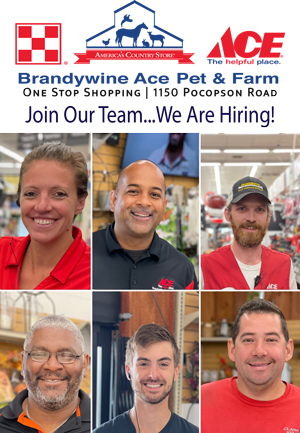 POCOPSON — Brandywine Ace Pet and Farm is joining the celebration of Ace Hardware ranking “Highest in Customer Satisfaction with Home Improvement Retail Stores” for the eighth year in a row by J.D. Power by hosting a customer appreciation event at the store, on Oct. 5 from 11 a.m. to 3 p.m. The event is part of a cross-country tour celebrating Ace’s achievement by taking all eight J.D. Power trophies on the road, visiting 38 states and more than 175 neighborhood Ace Hardware stores between August 2014 and April 2015, covering over 24,000 miles. During the event, customers will have the opportunity to take a photo with the prestigious J.D. Power trophies, as well as have the opportunity to win prizes and take advantage of in-store promotions in appreciation for their continued support of locally owned businesses like Brandywine Ace Pet & Farm. To commemorate Ace’s eighth time being honored with the JD Power Award for customer satisfaction, Brandywine Ace Pet & Farm has created eight awesome raffle baskets. For each $10 a customer spends in the store from September 22 through October 5, they will receive one raffle ticket. The customer can place their ticket in whichever of the eight buckets they choose and there is no maximum on the number of raffle tickets they may earn. 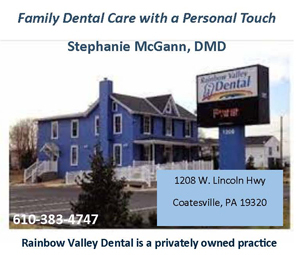 The items for the raffle baskets have been carefully designed to offer something of interest to every customer. The themes are Stihl chainsaw, Weber grill, paint, lawn and garden, pet, farm/equine, children, and wild bird. Plus, one raffle ticket, with no purchase necessary, will be presented to every customer that visits the store on October 5, the day of the neighborhood tour event. Customers do not need to be present to win any of the raffles. Refreshments, including a barbeque, will be available and the store is planning carnival-themed games and events to entertain family members of all ages. Ace Hardware has received the ranking of “Highest in Customer Satisfaction with Home Improvement Retail Stores” since J.D. Power began this study eight years ago. The study is based on responses from more than 2,900 consumers who purchased home improvement products or services within the previous 12 months. Ace Hardware ranked highest among major retailers with an overall satisfaction index score of 791 on a 1,000-point scale. The score is based on performance in five areas: merchandise, price, sales and promotions, staff and service, and store facility. 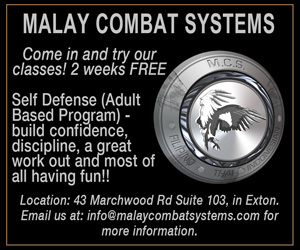 For more information on the J.D. Power Neighborhood Tour, please visit Brandywine Ace Pet & Farm or www.acehardware.com.